Click on the small image to the right of a story to enlarge it. Close by clicking cross at the top right corner of image. Follow links by clicking on yellow arrows. Nantwich Museum has sent us a fascinating presentation on Dzierżoniów made by a 16 year old work experience student. Unfortunately Pam Minshall has had to step down due to ill health. This post gets you into the heart of twinning activity in our area. Please contact our Chairman Clive.Mosby@mcht.nhs.uk if you can assist. This year's event was a great success. There were 14 students, one only 13 years old. There were 5 morning teaching sessions with tutor Isobel Skelhorne. Afternoon visits were to Chester, Arley Hall, The Macclesfield Silk Museum, Bentley Motors and Nantwich. On the final Saturday the students visited Bridgnorth and Bewdley and took a trip on the Severn Valley heritage railway. 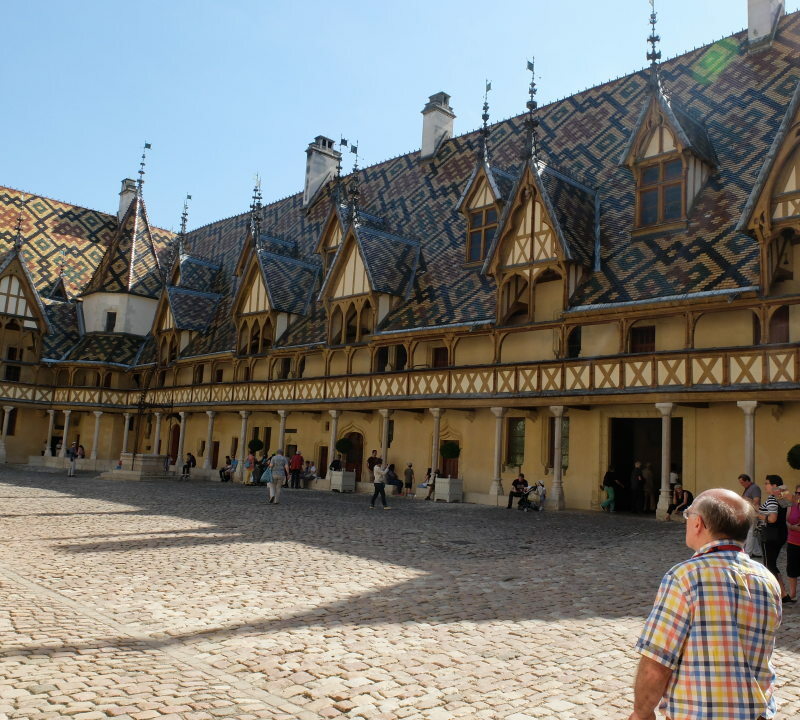 In 2017 Mâcon launched opération séduction to encourage groups from towns outside their twin towns to visit the town. 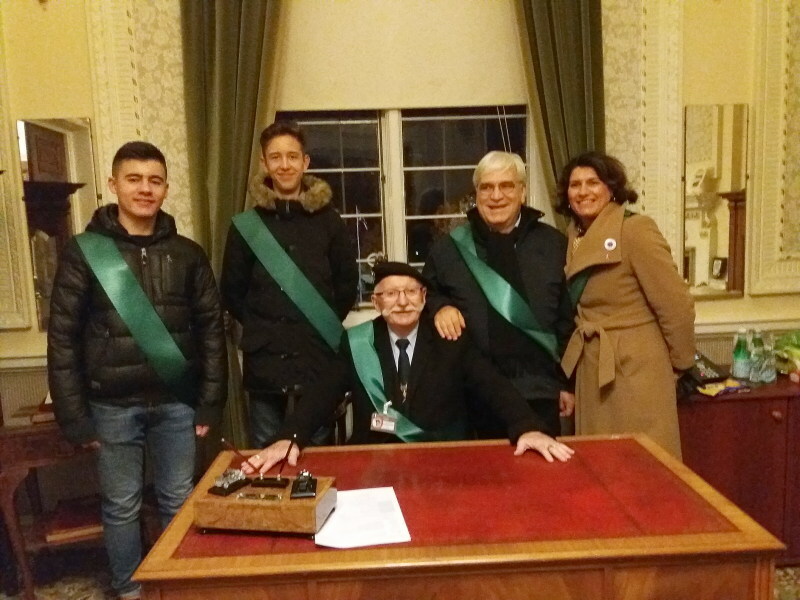 Groups get VIP cards offering reductions in shops and restaurants, help in arranging accomodation, the services of a guide and a visit to the Town Hall. 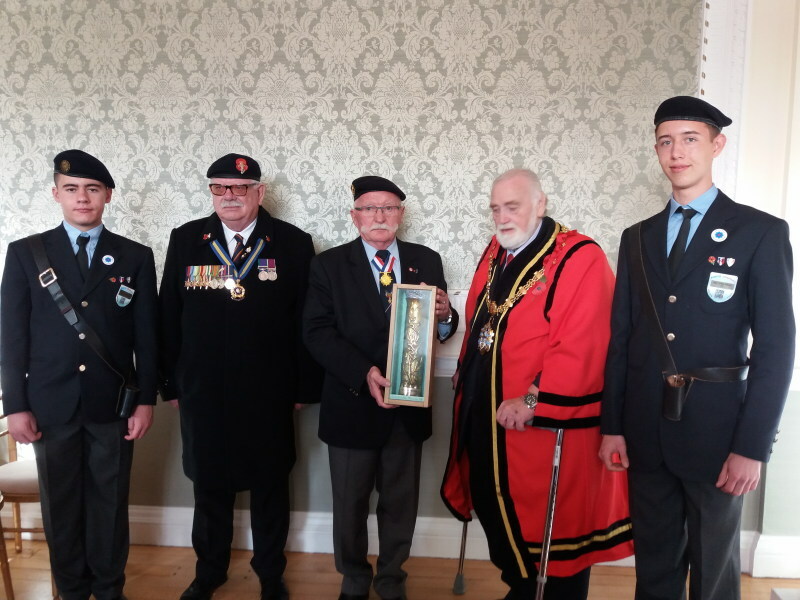 Prompted by CANTA Bischofsheim, our other twin town, organised a visit this spring. Nine members of CANTA joined the group. Truffles, wine, castles, medieval towns and lots of sun - what else could you want! CANTA plus Google makes history! Dominique Jollat, from Switzerland, found an interesting document in his late father's possessions concerning a Mme Ducaret. A web search found her on the CANTA web site as Hilla the fugitive Jewess from Dzierżoniów. Read the original story and the exciting follow-up in Twin towns news opposite. An article in the Guardian put Wendy Cox, a local resident, in touch with an old school friend from Dzierżoniów when it was the German town of Reichenbach. Ursula Kantorowicz, second left, was sent to England, aged just three, to escape Hitler's persecution of the Jews. Wendy put CANTA in touch with Ruth Geall who shares the story of her great aunt with us in our Twin towns news opposite. The annual 'University of the Nations' Summer School will be held in Mâcon from 14th -19th July 2019. This is an excellent way to brush-up your language skills and discover the beautiful area around Mâcon. The programme and application form will be issued later. 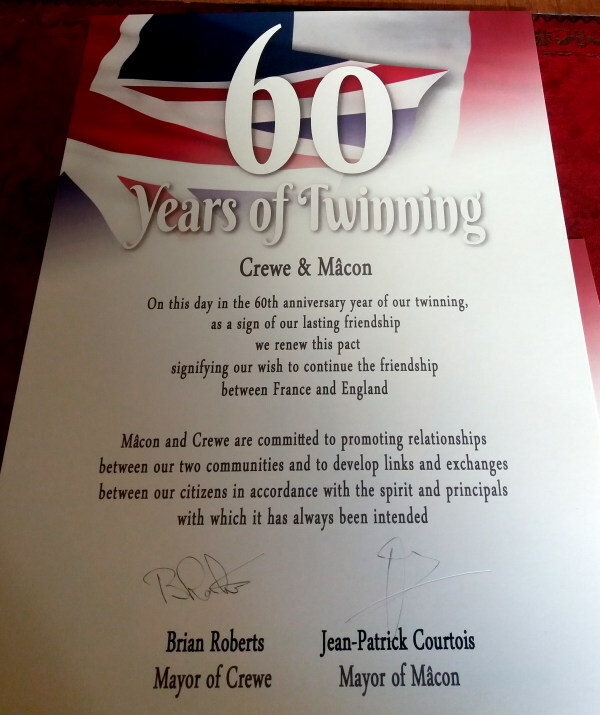 In its March issue the prestigious cultural magazine Mosaïque gave extensive coverage of the event and the re-signing of the 60 year old twinning agreement. It's in French but there are plenty of striking images! 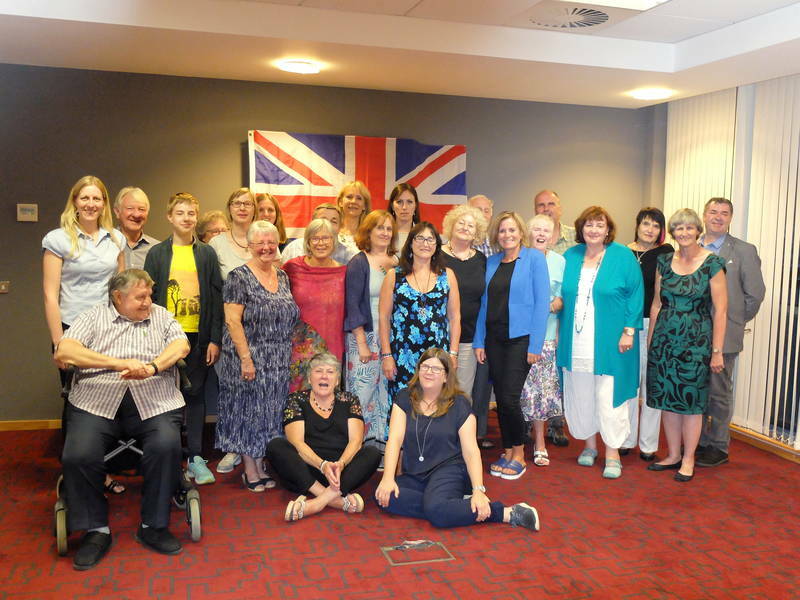 Twin Towns meet up for the first time! 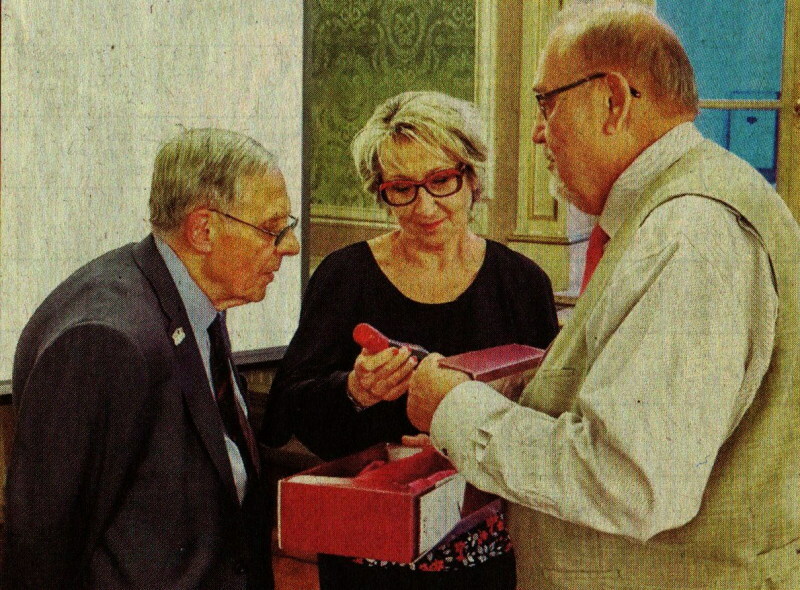 In the photo we have Hugo Berg, the Chairman of the Bischofsheim Twinning Committee, presenting a gift of local wine to Marie-Paule Cervos, the Deputy Mayor of Mâcon in charge of tourism and international relations, and François Sauzet, President of the Mâcon Twinning Committee. This meeting was the fruit of the tourism promoting event reported in our Latest News section. 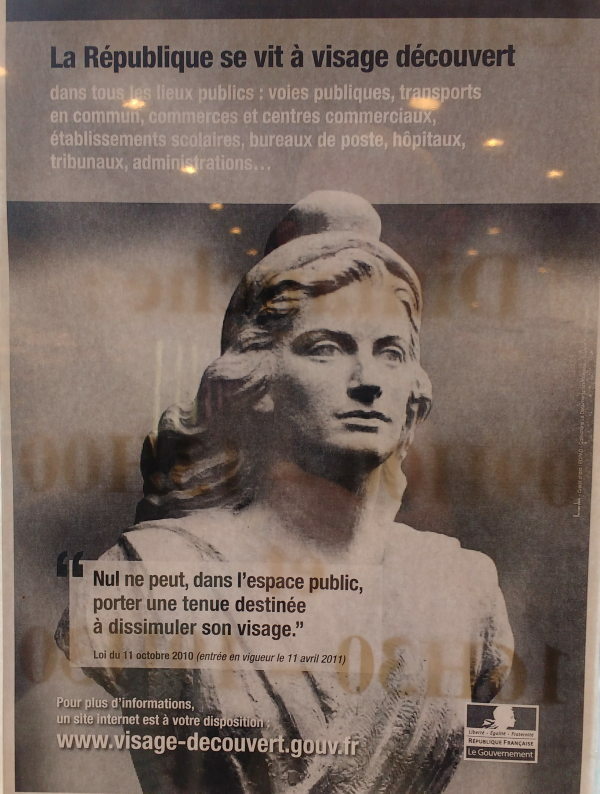 This poster was displayed in Carrefour in Mâcon. In this powerful information/propoganda poster Marianne is used to hammer home the message that it is forbidden to fully cover the face in any public space. Marianne is the well known national symbol of the French Republic, a personification of liberty and reason, and a portrayal of the Goddess of Liberty. 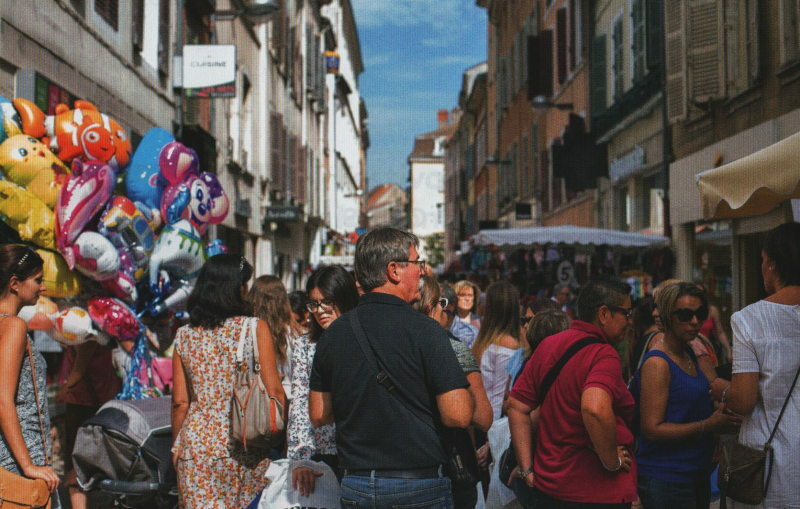 Mâcon is implementing a national plan to revitalise town centres. They have increased the mumber of free shuttle buses into the town centre, helped shops refit in a modern style, smartened up the streets and squares and mounted a series of events in the central St. Pierre Market Hall. 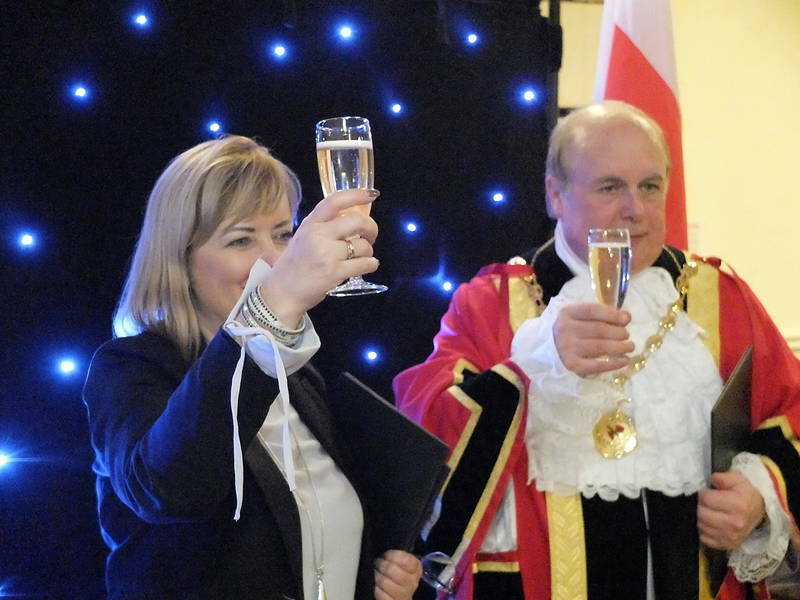 David Marren represented CANTA at special celebrations in the town this May. At a one-to-one meeting with the Mayor David was told that practical twinning events, particularly for young people, should take priority over official ones. CANTA would like to hear if any groups would like to initiate a liUPDATED AGAIN! nk or renew an old one. Financial assistance may be available. Ruth Geall, the great niece, was recently invited to Dzierżoniów and located her father's house. A joint oral history project with the town is planned.